This is a great level set to get acquainted with Snake Quest with two players. 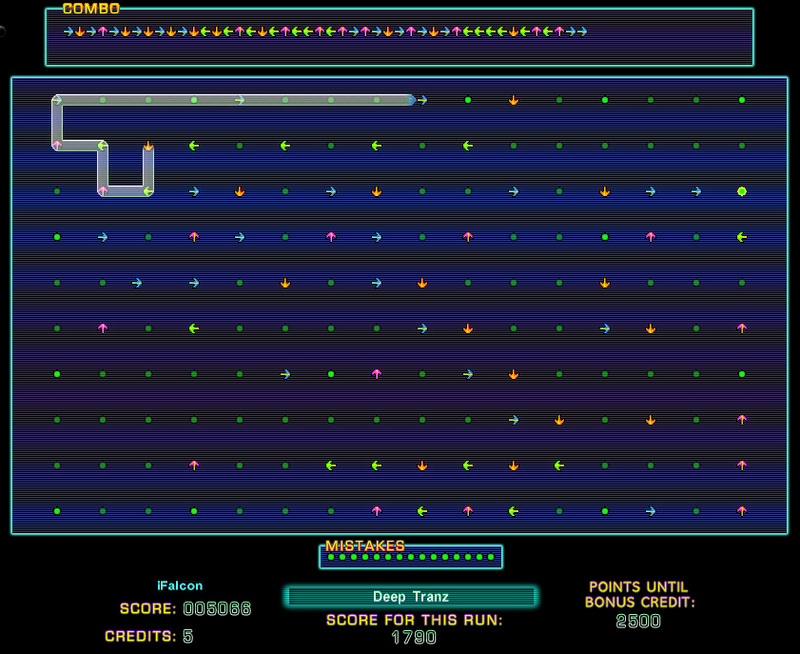 Now updated for version 0.8 of Snake Quest. You are the Snake in the Machine, sent forth by your user to recover a lost data file which has scattered across his hopelessly fragmented hard drive. Maneuver through electromagnetic fields, past energy surges and venture into the mysterious and unpredictable realm of the internet in this action packed level set. If you like this, also check out the two player competitive set FutureSnake. **Version 1.2 adds a music track and other minor enhancements. This version requires SQ 0.9.0 or later. This is a preview of the new sequel to the popular "Snake in the Machine" level set... Once again you are the Snake in the Machine, set out to recover lost data files, now with the ability to manipulate more intricate power grids and alter your perception of time . . . Download it now! 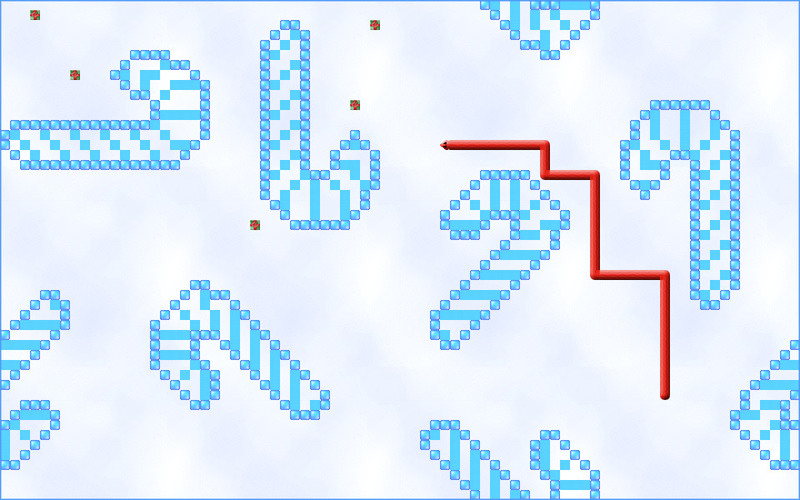 Run around a winter scene gathering presents in this special themed level set. Happy Holidays! The year is ... well... sometime in the future. For sport, the wealthy battle their eSnakes: snakes made of pure information energy. Now you and a friend can join in the virtual carnage in five different Battle Zones! Go directly after your opponent or play for strategy, upgrading your weapons before claiming all the bases and forcing your opponent into submission... the choice is yours! 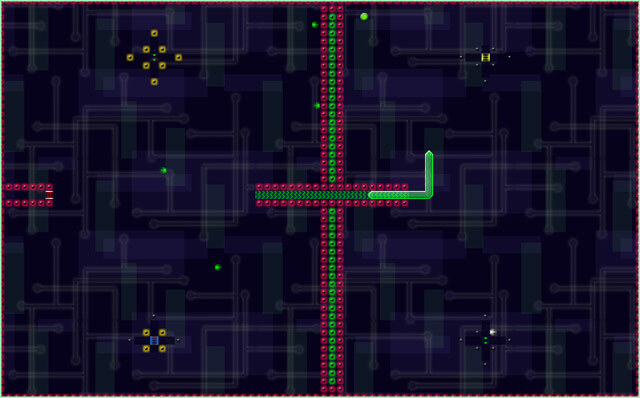 If you like this level set, check out the single player "Snake in the Machine." This is a resource for level designers: a collection of 27 background images for free use in SQ level sets.